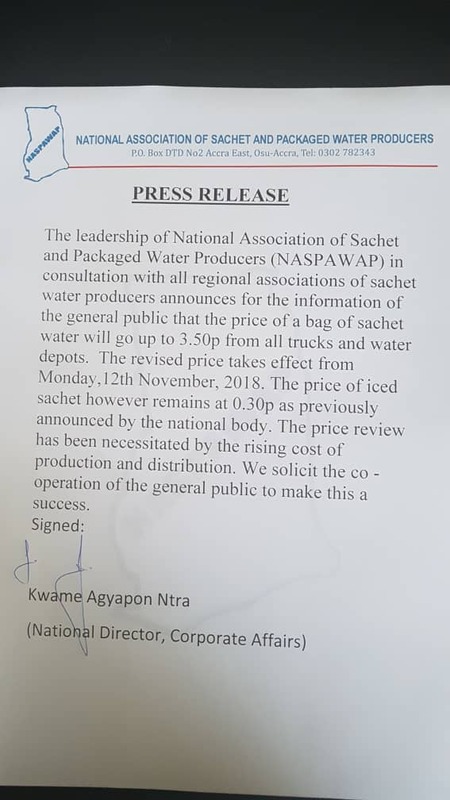 The National Association of Sachet and Packaged Water Producers (NASPAWAP), has in consultation with all regional associations of sachet water producers announced an increment in the prices of a bag of sachet water from GHC3.00 to GHC 3.50. The statement explained that the price review had been necessitated by the rising cost of production and distribution. 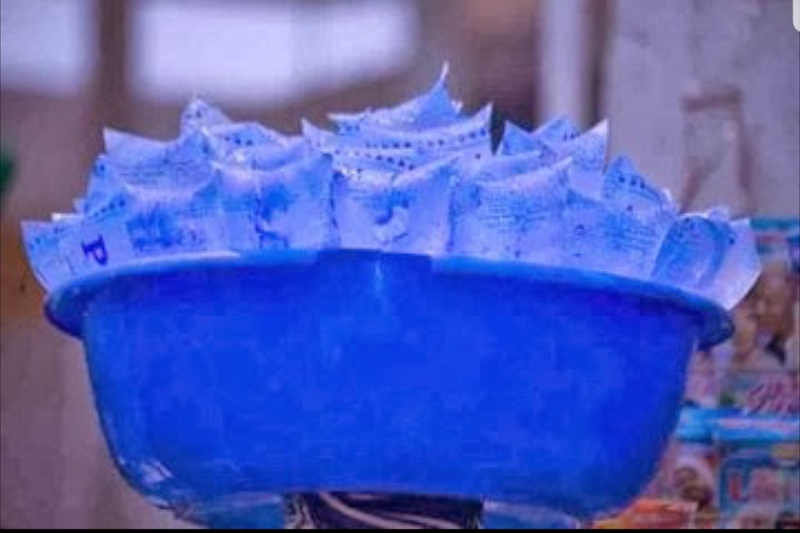 In January 2016, President of the Association of Sachet and Packaged Water Producers, Magnus Nunoo, announced an increment in sachet water from 20 pesewas to 30 pesewas. 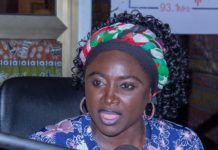 Mr. Nunoo had explained that the decision had become necessary, following the Public Utilities Regulation Commission’s (PURC) decision to make producers of sachet water pay GHc 50 for a cubic meter of water. However, retailerscm chose to still sell the water at 20 pesewas. 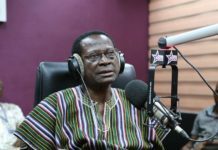 Mr. Nunoo says now that the full bag will be sold at 3cedis 40 pesewas, he expects the retailers to sell a sachet at 30 pesewas.